Was the light bulb invented before or after glasses? Probably before, but was it also before the lighter or after? 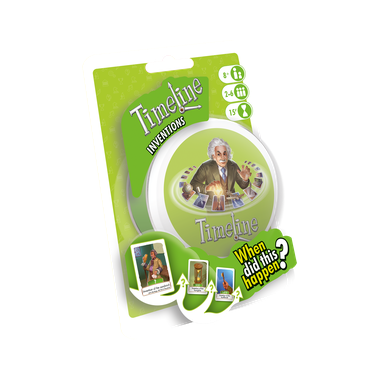 These are the type of questions you'll ask yourself whenever you play Timeline. 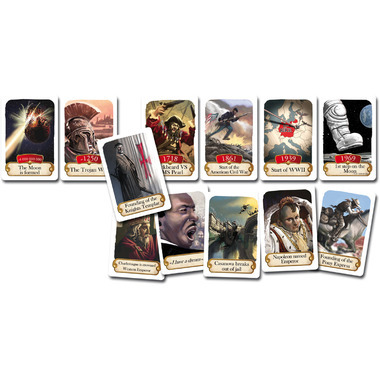 Each turn, you'll try to place a card from your hand into the correct position on the ever‐growing timeline. The first player to place all their cards wins!